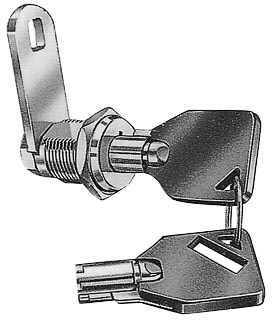 Steel made tubular keys, nickel plated, with plastic cover. 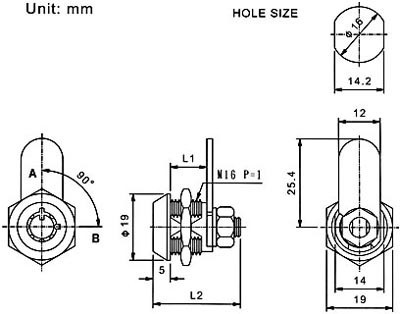 Cam is affixed by nut.
. Zinc alloy die cast housing and cylinder.
. 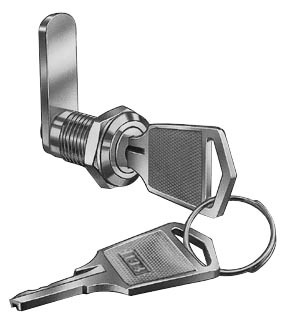 Bright chrome plated standard.
. 4 disc tumbler mechanism.
. Brass keys, nickel plated.
. Key may be withdrawn in one or both positions..
. 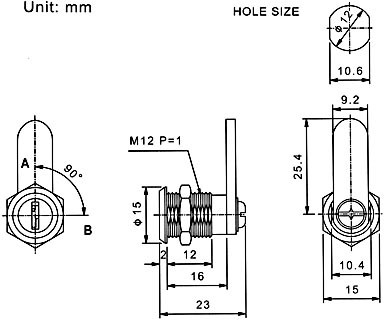 Various cam configurations and rotations available.
. Cam is affixed by screw.